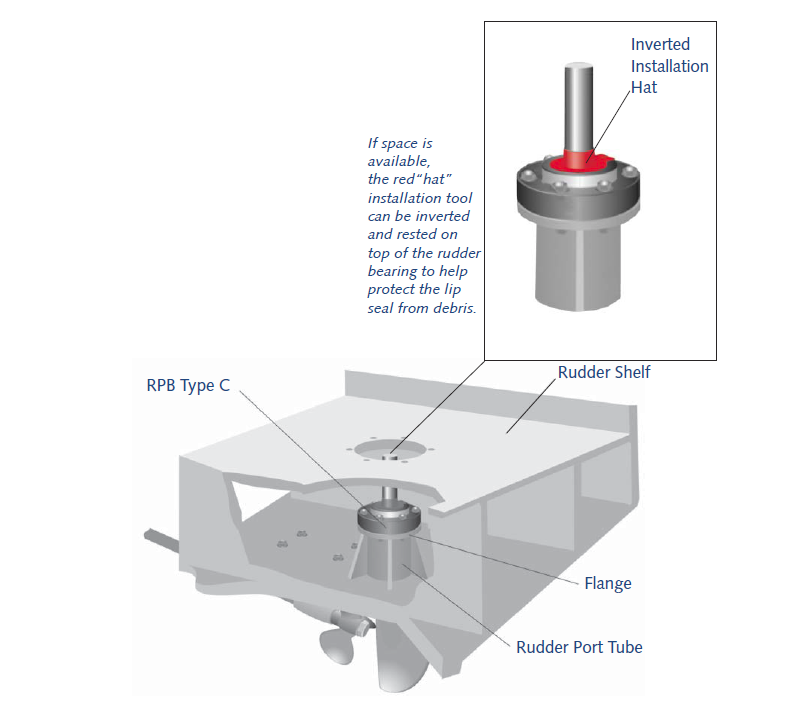 The Tides Marine Type C rudder port is used in vessels constructed of FRP, steel or aluminum which have an integral rudder port tube and flange. Unlike the typical assemble with separate bearing and packing, the Type C unit combines both sealing and bearing functions in a cost-effective housing. It is an ABS and Lloyds approved design and offers a substantial "bearing surface" to "rudder stock diameter" ratio. The units consist of a one-piece UHMW housing and a nitrile lip seal. The Type C is 100% watertight. It eliminates metal-to-metal contact and the associated problems of abrasion and electrolytic corrosion. Rudder chatter and vibration are reduced, resulting in quieter, smoother performance. Rudder Port Bearings Type C may be ordered online.